Don't you just hate when you miss out on a Kickstarter? All those stretch goals and exclusives, along with the great deal that's to be had. Well, thankfully, the Kickstarter, itself, isn't the only time you can get that stuff. Late Pledges are often available for games. One such is Vampire Hunters, the cooperative game where you... well... you hunt vampires. You can join in on it now. You know, vampires are a tricky group. Just when you think you've got 'em, they can suddenly slip away, forcing you to chase after them all over again. 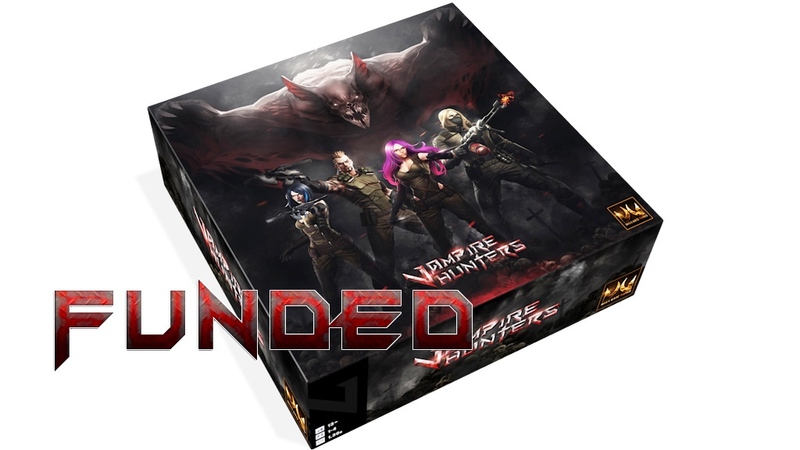 Dark Gate Games is tenacious, though, and they're once more hunting down vampires with their Vampire Hunters board game on Kickstarter. And this time around, it's looking like steak is on the menu for everyone. 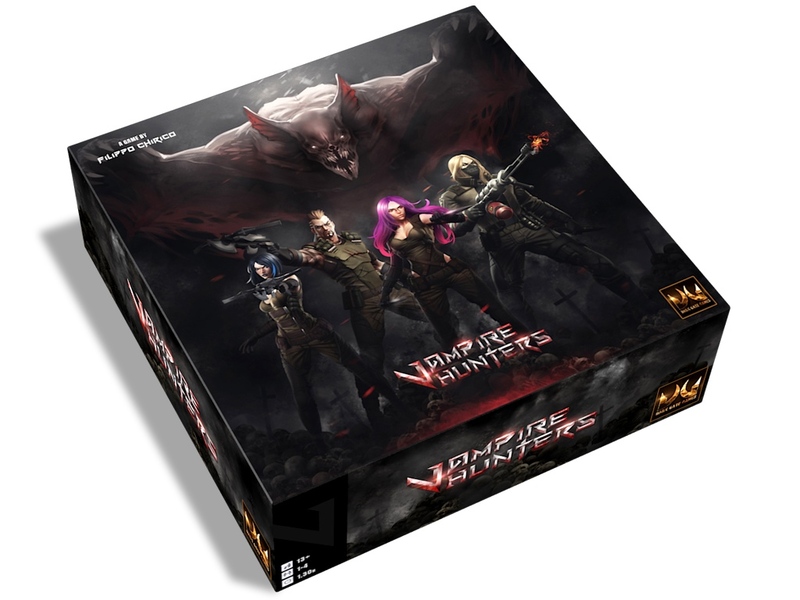 Dark Gate Games will be bringing Vampire Hunters back to Kickstarter in a couple months. In the run-up to the campaign, they've got a special contest that they're running. 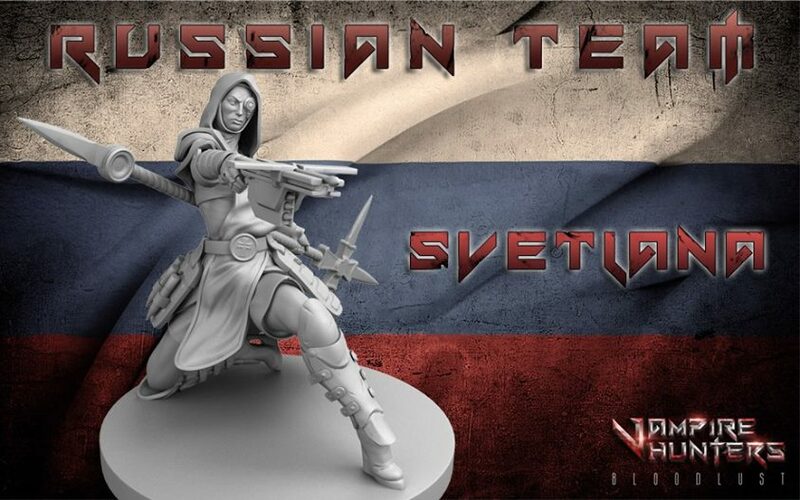 In order to spread the word about their game, they're giving away copies of it (well, when they're available, anyway). 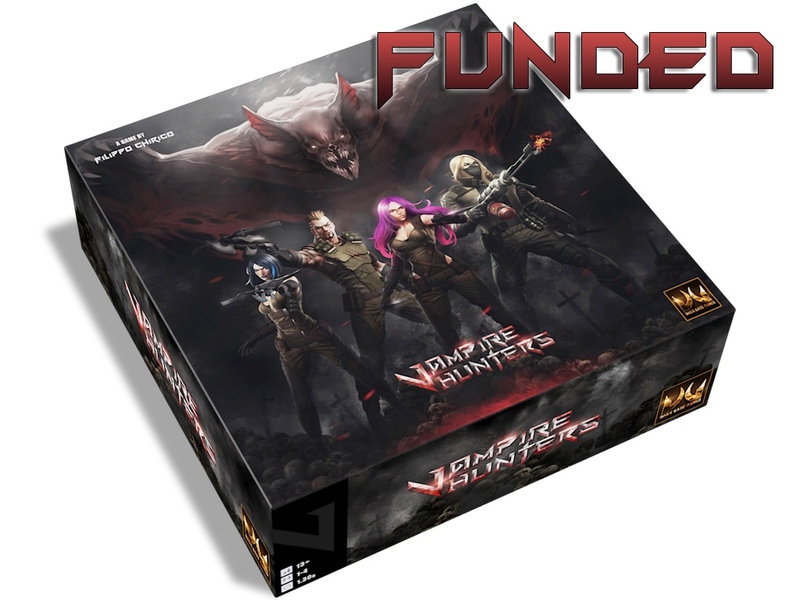 Dark Gate Games has made it over their funding goal by more than double for their Vampire Hunters board game over on Kickstarter. 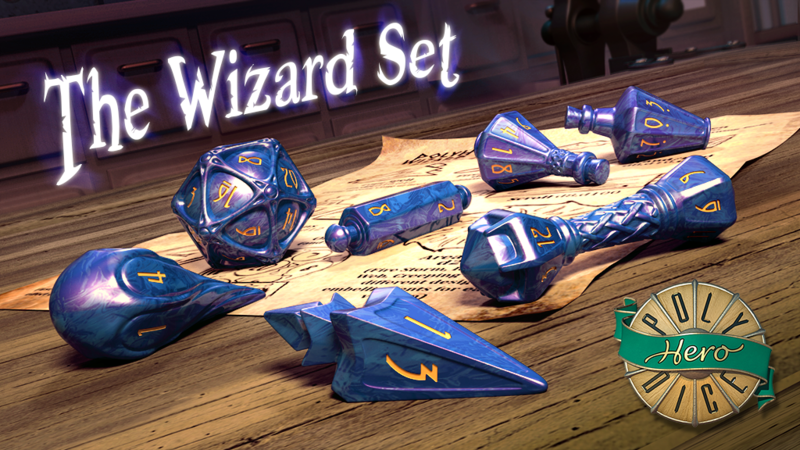 They've made it through several stretch goals already, but could always make it through more. Next up on the block is Dallas and the incredibly huge guns she wields. They've posted some rules playthrough videos you can check out as well. The campaign's got just under two weeks left. Dark Gate Games has launched a Kickstarter campaign for Vampire Hunters, their new board game where you... well... hunt vampires. In the game, 1-4 players must work together to remove the vampire menace from the world. 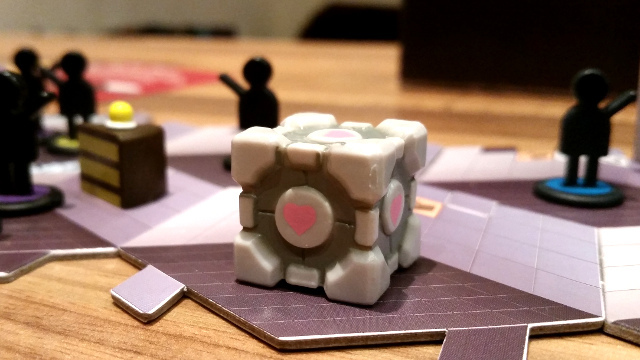 The game takes place on modular tiles which are used to create different boards for each of the 10 missions in the core game. Each Vampire Hunter comes with an awesome array of weapons and a special ability with which to send Nosferatu back to the land of the dead. The campaign is set to run for another 19 days. 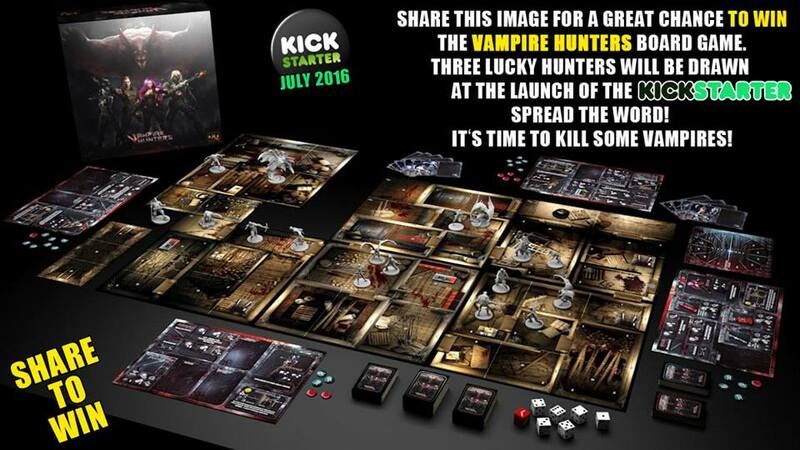 Dark Gate Games is holding a contest on their Facebook page to give away a copy of their Vampire Hunters board game. Simply head over there and share their promo video. Then, when their Kickstarter is running, they'll pick 3 people who shared it to get a copy of the game and stretch goals. Seems pretty sweet!